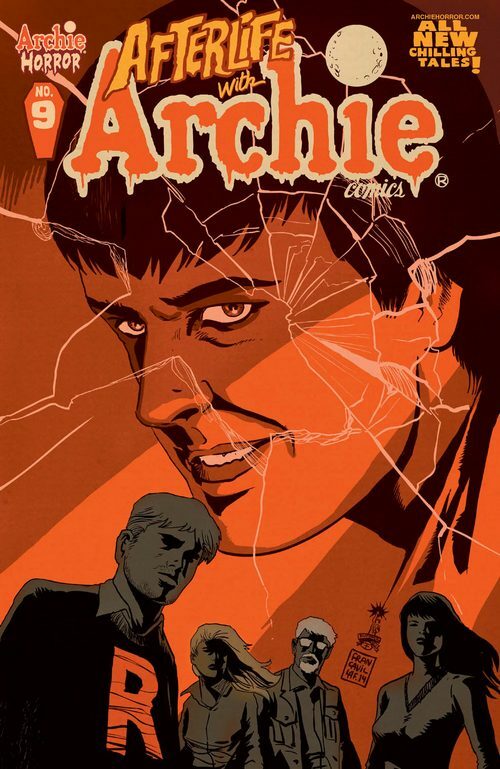 Archie Horror springs back to life this May, as the critically acclaimed and genre-defying CHILLING ADVENTURES OF SABRINA and AFTERLIFE WITH ARCHIE series return to comic shops with brand new issues and more to come. 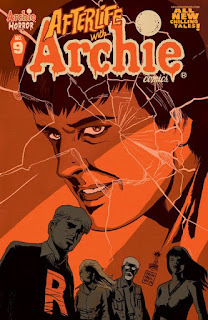 After much anticipation, writer Roberto Aguirre-Sacasa and artists Francesco Francavilla and Robert Hack bring ARCHIE HORROR back from the brink. The spotlight turns to Reggie, the instigator behind the zombie apocalypse that now threatens the entire planet, in AFTERLIFE WITH ARCHIE #9. Aguirre-Sacasa and artist Francesco Francavilla take us back to the fateful night that started everything and ask the question: is redemption possible for Reggie Mantle? Find out on June 1st, 2016 when AFTERLIFE WITH ARCHIE #9 returns to comic shops. CHILLING ADVENTURES OF SABRINA #5, with raw and macabre artwork by artist Robert Hack, continues to pit the teenage witch against the deadly manipulations of Madame Satan. Still reeling from the fallout of her botched baptism and the fate of her boyfriend, Harvey Kinkle, Sabrina faces her toughest challenge yet in the form of the Witches Council. Issue #5 hits comic shops on May 18th, 2016. "There’s no excuse for late books, just apologies," said Aguirre-Sacasa, promising additional issues of AFTERLIFE and CHILLING ADVENTURES OF SABRINA are in progress. "We know how much these books mean to you—so thank you, thank you, thank you for sticking with us through thick and thin." Read the AFTERLIFE WITH ARCHIE and CHILLING ADVENTURES OF SABRINA series by visiting a comic shop near you, the Archie Comics Online Store, or digitally on the all new ARCHIE APP.